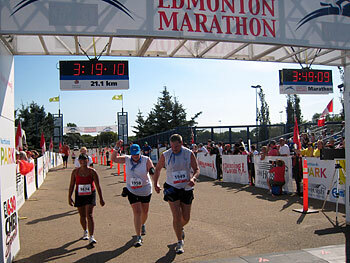 This is an example of a half marathon training schedule. It is an sixteen (16) week schedule and if you follow it you should be able to complete a half marathon without any difficulty (yeah right! ).